Madhya Pradesh: The Medical Council of India (MCI), the apex regulator of allopathic doctors in the country has ordered the suspension of 8 medical practitioners for their alleged involvement involved in an unethical drug trial on unsuspecting patients that had stormed the country 7 years ago. The ethical committee of the MCI, ordering their suspension for a period of three years,has forwarded the notice to MP and UP state medical councils respectively for necessary action. It is reported that the concerned case goes back to the year 2010, when a number of complaints had been received by the apex council about unethical drug trials taking place in MP, which were undertaken on around 2000 unsuspecting patients. It was alleged that 81 patients had showed side effects and 35 had allegedly died during the trials. Many Doctors associated with the Mahatma Gandhi Medical College (MGMC) and Maharaja Yashwantrao Hospital (MYH) had fallen under scanner. While letters were sent to MCI for action, the matter is also subjudice before the Supreme Court. 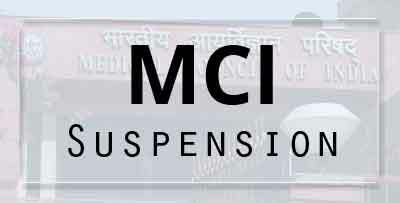 Responding to the matter, MCI has now ordered suspension of 8 doctors. 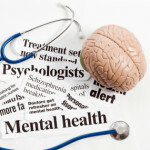 As per media reports, those who are facing the MCI axe include, Maharaja Yashwantrao Hospital (MYH) superintendent Dr VS Paul, former superintendent Dr Ramgulam Rajdan, Dr Anil Bharani ( Professor) and Dr Ahish Patel (assistant professor) of general medicines department, paediatricians Dr Hemant Jain (currently superintendent of Chacha Nehru Children Hospital), Dr Ujjawal Sardesai, Dr Pali Rastogi and Dr Abhay Paliwal ( psychiatry department). Officials at the MP Medical Council confirmed to Medical Dialogues team, that they had received the letters from MCI and they will initiate action after inquiry. Meanwhile, the doctors are planning to go to court to get a stay on the matter, reports TOI.